Sign upPage 1Created with Sketch. Get my free score Page 1Created with Sketch. 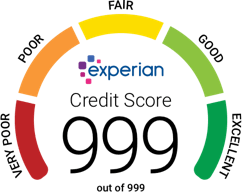 The Experian Credit Score runs from 0-999 and is based on your Experian Credit Report. It gives you an idea of how lenders view your Data Self. The higher your score, the greater your chance of getting the best credit deals. Get my score FREE FOREVERPage 1Created with Sketch. As well as getting your score, with your free account you can search for credit offers. Get my score freePage 1Created with Sketch. Want to know your Data Self better? We offer different products to help you understand your credit situation and how you can improve it. Find out which product is right for mePage 1Created with Sketch.